Past roles include the Contessa in Theatre de la Jeune Lune’s Mozart/Beaumarchais adaptation Figaro at Berkeley Repertory Theatre (nominated for Best Ensemble by the Bay Area Critics Circle), Susanna (Le Nozze di Figaro), Mag (Richard Wargo’s Ballymore), Despina (Cosí fan tutte), Concepción (L’heure Espagnole), La Princesse (L’Enfant et les sortileges), Frasquita (Carmen), Gretel (Hansel and Gretel), Fiona (Brigadoon), and Joanna (Godspell). In the summer of 2014, she was the Dew Fairy and Sandman in Hansel and Gretel with Blue Lake Festival Opera, and returned to perform in their 50th Anniversary production of Ruth and Naomi in summer 2015. Dr. Hersey was chosen as a second prize winner in the 2014 Alexander International Vocal Competition. A two-time Schubert Club Competition finalist, she was also awarded second prize in the Thursday Musical Young Artist Competition and performed with the Kenwood Symphony Orchestra as winner of their concerto competition. Additionally, she was a national semi-finalist in the Florida Grand Opera Competition, the Classical Singer Competition, and the NATS Artist Auditions, receiving the Karl Trump Award from the NATS Foundation. She has performed in master classes with notable artists such as Renée Fleming, Dawn Upshaw, Jennifer Larmore, Marianne Hirsti, and Håkan Hagegård. Dr. Hersey holds master’s degrees in performance and musicology from the University of Minnesota, and pursued advanced studies at the Accademia Musicale Chigiana in Siena, Italy with acclaimed soprano Raina Kabaivanska. She earned a doctorate from the University of Miami, where she was a Smathers Fellow. Dr. Hersey has taught at Iowa State University, Barry University, Broward College, University of Miami, and Eastern New Mexico University. 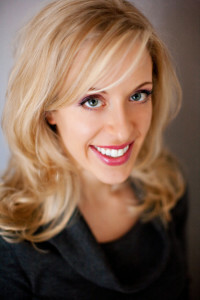 She is the newly-appointed Assistant Professor of Voice at University of Wisconsin, Oshkosh. She serves as Editor of Video Lectures, Performances, and Lecture-Recitals for College Music Symposium, and is the Editor-in-Chief of VOICEPrints, the peer-reviewed journal of the New York Singing Teachers Association. Her book, Scandinavian Song: A Guide to Swedish, Norwegian, and Danish Repertoire and Diction is now available from Rowman & Littlefield.